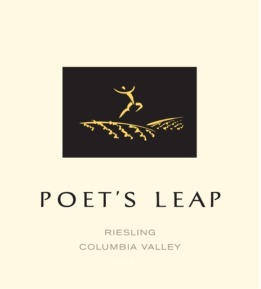 Tasting Notes: The Poet's Leap Riesling offers aromas of white peach, jasmine, Thai basil and nutmeg. Flavors of ripe melon, apricot and an appealing minerality continue across the palate. An underlying hint of honey sweetness is balanced by a streak of bright acidity that provides a long, clean finish. "The 2016 Riesling Poet's Leap is very pretty, offering up aromas of lime, lemon oil, white flowers and very subtle petrol that wouldn't be out of place in the Mosel. On the palate, it's light to medium-bodied, racy and mouthwatering, with lovely intensity and purity, concluding with a stony finish. It's a beautiful wine and carries a very modest price tag. - William Kelley"
They construct wines in their own style, and with their own complexity, while striving to improve upon their singular benchmarks. Beginning with the 2003 crush, they are crafting signature wines that carry great promise for years to come. They have devoted hundreds of hours sampling the many wines originating from the most important vineyards, and chose those particular vineyards that fit the desired style and type of wines each hopes to create. Grapes from every sub-appellation of the Columbia Valley were selected to take the fullest advantage of the region’s individual microclimates and terroirs. "Long Shadows is the brainchild of Alan Shoup, longtime CEO of Chateau Ste-Michelle. It is a consortium of seven different labels, each with its own star winemaker who has a 25% share in the brand. The concept is that each “is dedicated to producing a single Columbia Valley wine representing a ‘best of type’ that reflects the winemaker’s signature style.” For the second straight year, every wine in this portfolio has achieved an outstanding rating. For this, the credit goes to Alan Shoup who put it all together."